Marigold Somerset wedding photos never disappoint. 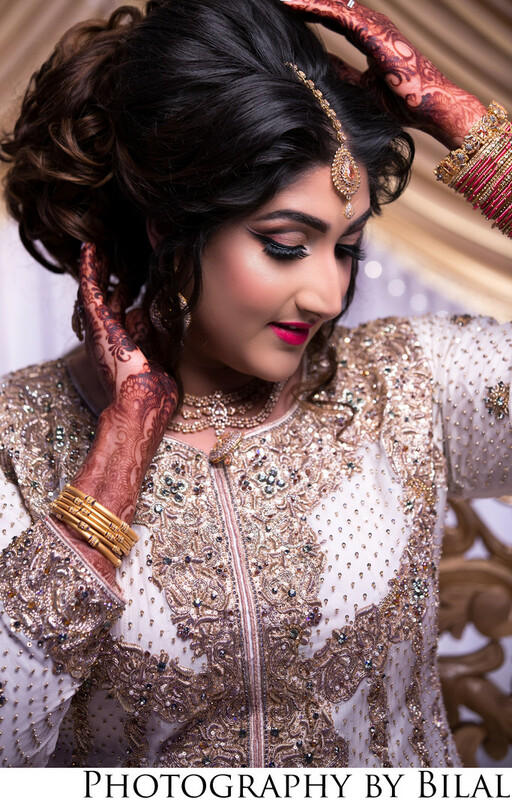 Omair and Zaynah had their wedding at the Marigold and it was truly amazing. Probably one of the most high energy weddings I ever shot. The Marigold is a fairly new venue and has been a popular venue, I shot at least 3 weddings there in 2017. Zaynah was a very bubbly bride just full of personality. As I was doing her portraits she just busted out doing a few different poses, which made my job easy because I just fired away. I just love a sassy bride that doesn't need direction every second of the day. I normally don't see this sassiness among the Pakistani brides that I work with. Sometimes Pakistani weddings really surprise me, because I never know what type of bride i'll get ha ha. This was one of my favorite images during her bridal session. This image has the perfect mixture - great lighting, perfect pose, and just the right amount of tilt in the head, that's the recipe for a perfect picture. The "tikka", the Pakistani wedding dress, and the rest of the jewelry are also very nicely shown off in the photo. I used my favorite modifier for this shot, the rapid box Octa. It creates the most beautiful soft light and is quick and easy to setup on location. Location: 315 Churchill Ave, Somerset, NJ 08873.